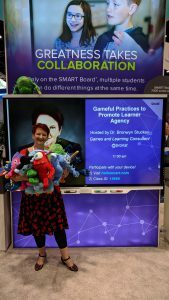 e Leaner Agency” was designed by Dr Stuckey and trialed at Curl Curl North primary school in Australia before being implemented with students in North America. Dr Stuckey used SMART Learning Suite to facilitate student learning based on Self Determination Theory. Commencing with a “Shout It Out” she sought student voice, asking students what places they visit to communicate online. 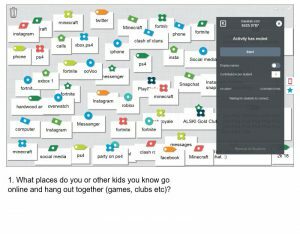 Students shared the tools they used to communicate online, and identified Minecraft, Instagram, Fortnite, Snapchat, and Facebook among others. 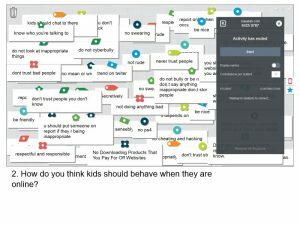 She then asked them to call out what advice they would provide to younger students about being safe on line. The results were very interesting; individual students were able to contribute a single idea but which when combined collaboratively provided a wide range of advice and knowledge for their younger peers. Using digital tools such as the Shout It Out in SMART Learning Suite enable all students to have their voice heard, and truly makes learning visible. For the final stag of Dr Stuckey's presentation, students designed a game using the creation tools within SMART Learning Suite to a ssist younger students in remaining safe online. 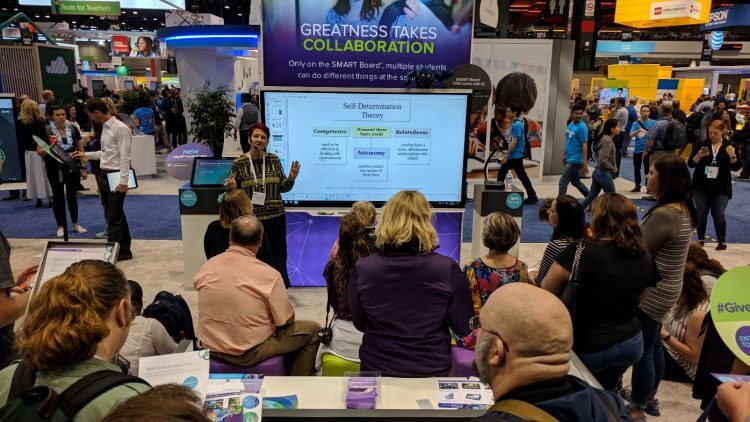 This engaging presentation not only shared valuable insights with attendees at ISTE, but allowed the student to demonstrate their learning, and gave useful ideas for bringing games into the classroom in a meaningful way. Dr Stuckey will share this presentation and learning activity with Australian teachers at the upcoming Inspire Greatness Conference in October 11 and 12 at Abbotsleigh. Registration is now open for this awesome, FREE event. Sign up now to join us!